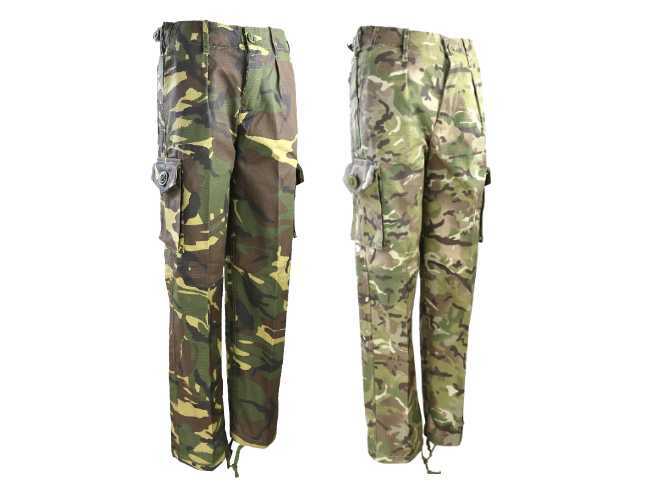 These kids army trousers are great fun for kids and based on the British army camouflage trousers. Great for outdoors playing or fishing and adventures. This camouflage is very similar to what the British army wear.Designed to be used by children jumping about in the outdoors and have strengthened areas such as the knees and crotch. Fabric is a strong rip stop which helps to stop runs in tears.The trousers come with 6 practical pockets for all those little items a child seems to have. Comes with a very useful waistband cord for adjustment and helps to make sure the trousers are a good fit to the wearer.